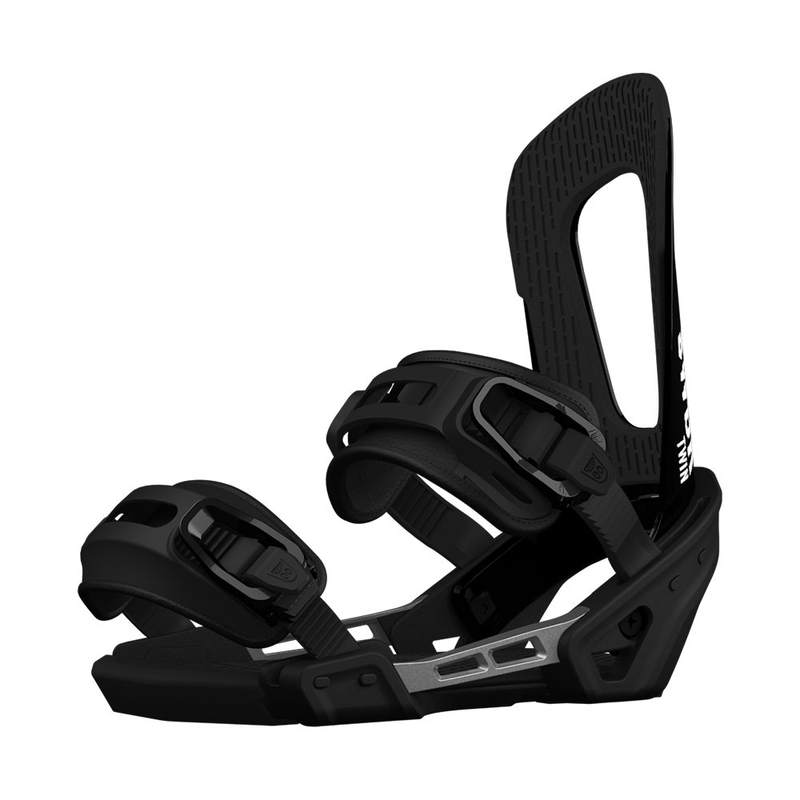 The K2 Cinch Tryst Snowboard Binding Black 2018 is a high performance, womens snowboard binding which features the super easy Cinch Technology. 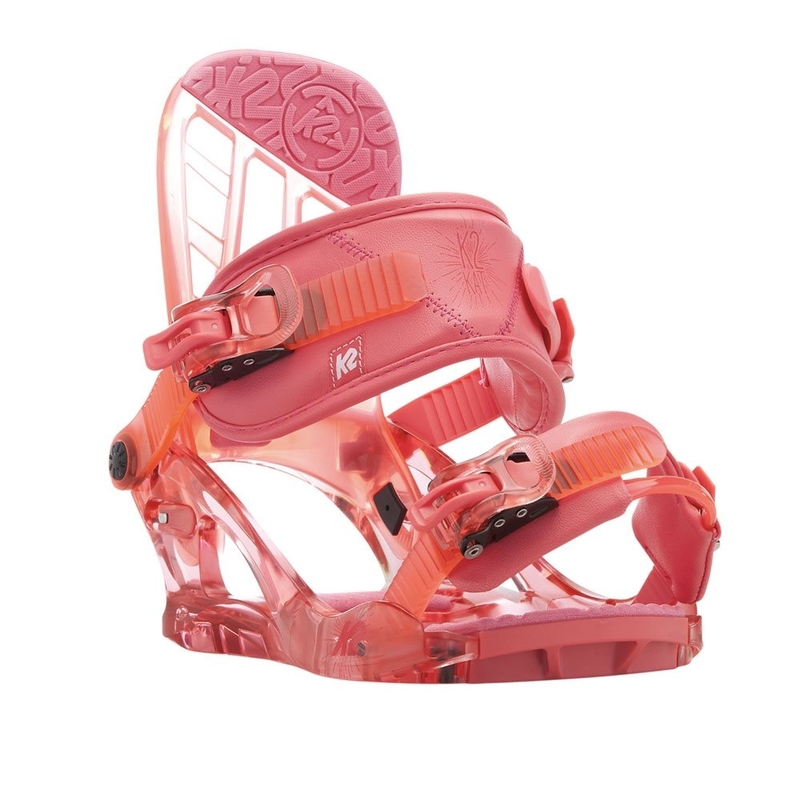 The K2 Cinch Tryst is the female specific easy strapping-in binding from K2. 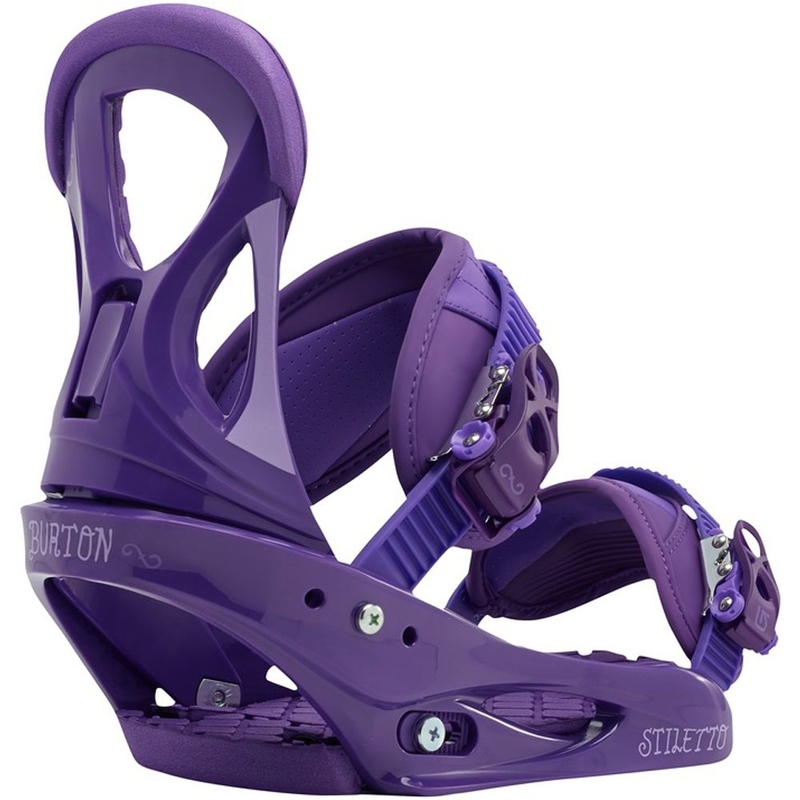 It’s up to you – drop down the high back to enter from the rear or use the conventional 2 straps. This design keeps the weight down and offers versatility when you need to adapt to different conditions. Combined with the Tripod chassis this easy entry binding rides just as good as traditional 2 strappers. Tuneable Tripod allows for three different levels of binding mobility and flex, offering complete customisation of support and feel. 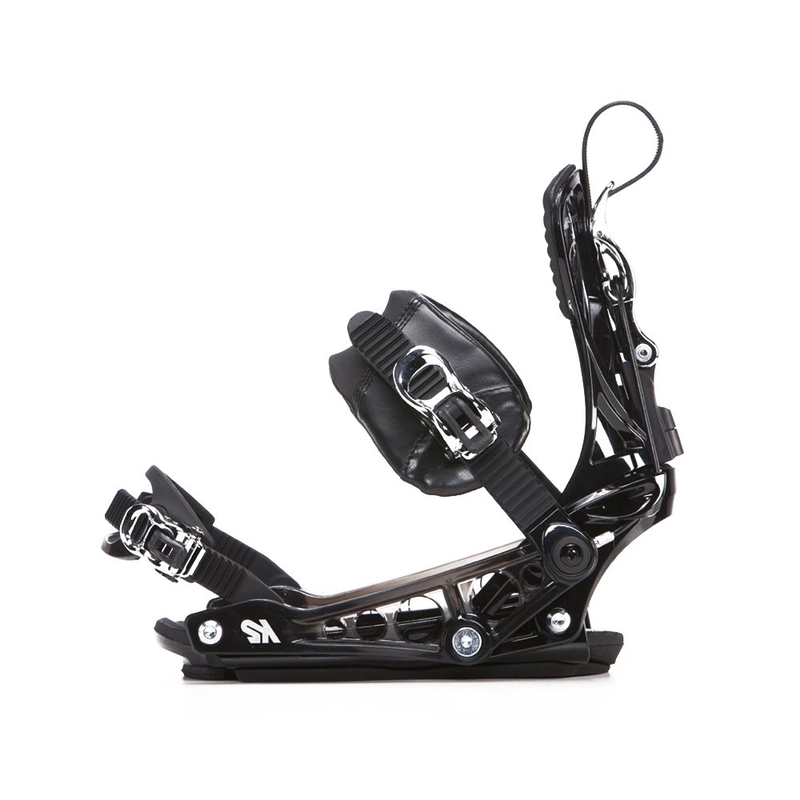 Each binding comes with three sets of urethane pod bushings, you can mix and match where you want support within the three connection points of the Tripod baseplate. Now more than ever you can tune into a flex that feels most natural to your riding style and needs. By stripping down the function of a toe strap to its absolute essentials we have developed our most refined strap to date. Nothing you don’t need and an innovative new hinged design that adjusts to fit any boot. The dual band design sits tightly and with a lower profile than any other strap out there. Better fit, more durable and less to drag in the snow. Mounts on 4-hole, and is Channel compatible. A more compact disc allowing for less board flex interruption and enhanced board feel.